[By Nick] Welcome to 2018, everyone! 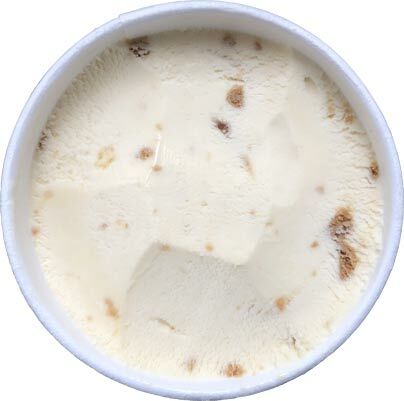 Are you planning on cutting back on your ice cream intake this year? 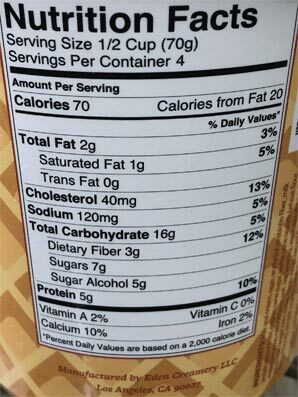 For better or (more than likely) for worse, there’s a scary amount of low calorie options on the market right now. It seems like “good for you” ice creams have become all the rage with Talenti recently jumping on board. It’s been awhile however since we’ve taken a look at the brand that pretty much started this trend. Halo Top has grown quite a bit since the first time I was able to review their original 4 flavors. They’ve gone from being only available online to being in basically every single grocery store you can think of. And it’s not just 4 flavors they offer now, it’s 24. That’s beyond impressive! Looking through the all of their flavors, this one spoke to me the most. 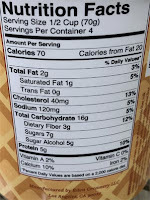 Is it the 280 calories per pint? Nope. How about that it’s a good source of protein? Nah. It’s because I’m a big supporter of breakfast themed flavors so I had to give this one a go. There’s no real description for this flavor anywhere on the packaging or online so I'm looking at the ingredients to tell me that this one should have a maple syrup swirl and a waffle cone crunch at the minimum. Opening up the pint, you can see both of those components hiding below the surface. Upon trying the base, there’s a strong buttery, sweet flavor. I’m guessing this is the pancake component of this one. It’s a little on the artificial side but there’s not much you can ask for something that’s 70 calories a serving and can still be called ice cream. The waffle cone "crunch" has little to no crunch to it. 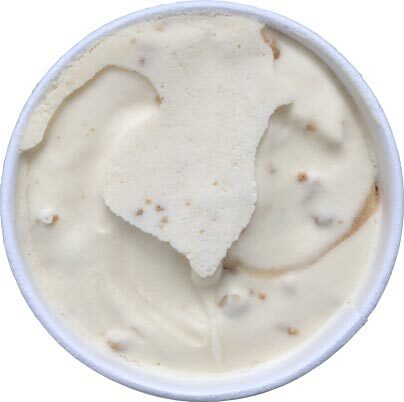 Heck, the cone flavor is minimal minus hints of molasses and cinnamon here and there. It’s a very faint mix in to say the least and adds more color to the flavor than anything else. The maple syrup swirl is where it’s at though. It’s full force maple to the face. It’s not that fake “syrup” flavor either. It tastes like genuine maple syrup. The problem with it is that it’s so strong that it completely drowns out all the other components. Once you taste that swirl, you’ll be lucky if you taste much more. Thankfully I do enjoy me some maple ice cream. The consistency has gotten better over the years which is amazing. They do recommend to let it sit out for a bit which I did and I would highly recommend. The product becomes very creamy and almost on par with most mainstream brands. It’s not rich or premium stuff by any means and that’s not what it’s trying to do. It’s trying to be light ice cream and it’s doing a remarkable job consistency wise. If you’re looking for a low calorie me fix, this is your guy. Heck, even if you’re not, I feel like a scoop of this would go perfectly on top of some hot waffles or pancakes. With all these new competitors out there in the low calorie (aka sugar replacement) ice cream game, I think I’ll have to do some more research. 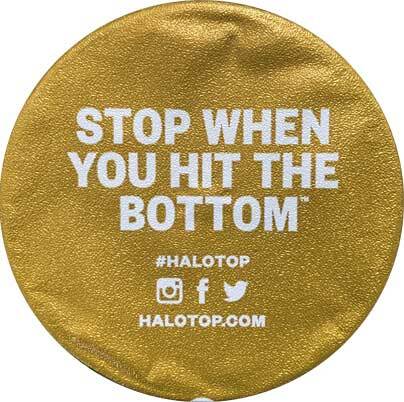 As for now, Halo Top is still the king. I didn't know the waffle cone crunch was supposed to be waffle cone at all, I thought it was little pieces of soft pancake. 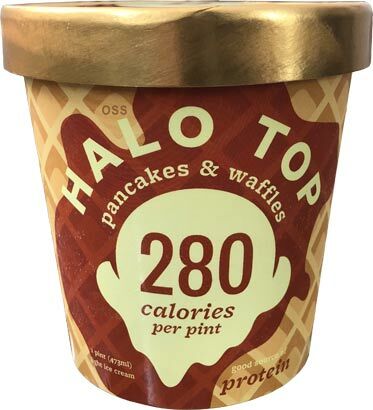 I've tried a lot of these Halo Top flavors and this is one of my favorites. So glad to see you posting Nick! I'm sorry that Dubba can't eat Halo Top but glad to see it being reviewed. This sounds better than I anticipated, may have to give it a try. Did you try the gingerbread by any chance? Hope your little boy is doing well, bet he's getting big. I took one bit and it went to the trash. Felt like eating pure chemicals. I'm shocked anyone could actually enjoy this. I think the idea is soft breakfast waffles rather than waffle cone pieces.